The recipient of a master's degree in music education from Western Connecticut State College, Ronald Russo spent more than 30 years teaching in Connecticut schools and served a two-year term as an elected member of the Watertown council. In retirement, Ronald Russo resides in West Palm Beach, Florida, where he has season tickets to the Kravis Center for the Performing Arts. The Kravis Center regularly hosts concerts, lectures, film festivals, and plays. 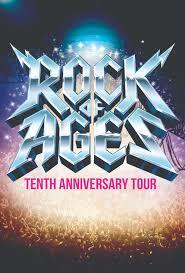 From November 6 to 11, the facility will host eight Rock of Ages productions at the Alexander W. Dreyfoos Jr. Concert Hall as part of the popular Broadway musical's 10th anniversary tour. Rock of Ages captures the heart of the 1980s through popular songs from the era such as Hit Me with Your Best Shot, Come on Feel the Noise, and Here I Go Again. It was nominated for five Tony Awards, including Best Musical and gained further popularity in 2012, when it was made into a major motion picture starring Julianne Hough, Russell Brand, Alec Baldwin, Bryan Cranston, and Catherine Zeta-Jones, among others. The Rock of Ages shows are part of the Kravis on Broadway Series for 2018-19, which also includes The Bodyguard, Les Misérables, School of Rock, and Waitress. Former Watertown, Massachusetts, resident Ronald Russo has made a point of traveling to many major Civil War battlefields. Civil War enthusiasts and historians like Ronald Russo know the Battle of Antietam, also referred to as the Battle of Sharpsburg, to be the single deadliest day in American military history. In September 1862, the Army of Northern Virginia and the Army of the Potomac clashed at Antietam Creek. The battle marked a grave moment in the war, with the Emancipation Proclamation being held back until another Union victory and domestic turmoil for the Union government. What could have been a major Confederate push, however, was stymied by the discovery of a Confederate special military order by Union forces. Before the offensive could begin, multiple Confederate generals faced heavy casualties due to this discovery, and were forced to regroup at Antietam Creek, setting the stage for battle. Confederate General Robert E. Lee went into battle with fewer and more-exhausted troops than anticipated, and was forced to mount repeated counteroffensives just to avoid being crushed, though reinforcements were able to damage Union troops as well. After claiming their wounded and dead, the Confederate Army limped back into Virginia. The Union troops allowed them to leave, the goal of preventing an advance completed. This narrow Union victory allowed the Emancipation Proclamation to go on, and ultimately gave the Union the domestic stability it needed to win the Civil War. Ronald Russo of Watertown, Connecticut, taught music in public schools for close to 35 years. As the developer of the elementary general music curriculum for Thomaston Public Schools as well as a band instructor at the middle and high school level, Ronald Russo drew on an understanding of the many ways in which children can learn to read music. A number of strategies exist for teaching students to read music, and each has its adherents. Many use mnemonics, such as the "Every Good Boy Does Fine" phrase that numerous students have learned to remember the E, G, B, D, and F lines of the treble clef. Others start with keyboard geography and teach students how the letters A to G correspond to piano keys. Taking the latter approach, students progress to steps and skips, which correspond to seconds and thirds in traditional music theory. Students come to understand how note names relate to musical sounds and to visible intervals on an instrument, and they can extend this knowledge to larger intervals of fourths and above. Once students have basic notation awareness, they can begin to extend their knowledge by training their ears to hear and identify patterns. They can do this by listening to music, by reading the score, or by sight singing, which requires internalized knowledge of the patterns. Further coordination of the ear, eye, and hand can occur when the student joins an ensemble, as this can require him or her to listen as well as to read new music on a regular basis.